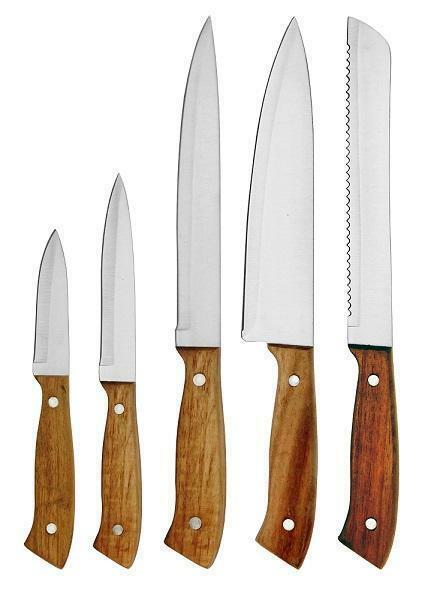 5-pc Kitchen Knife Set | Acacia Wood Handle(KET-118) - Keywood International Inc. This 5-pc knife set uses acacia wood handle with two rivets to make this knife more secure. The blade is made of high performance carbon stainless steel for durability and rust resistance. Stamped knives with acacia wood handle. Dual rivet for secured handle.